A great make-ahead dessert for all those busy cooks on Christmas Day! 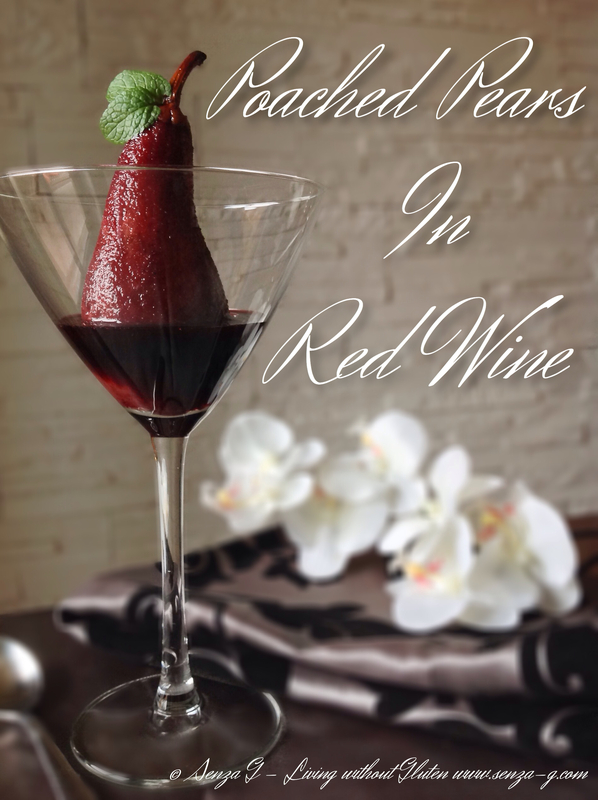 You can serve them in tall and elegant cocktail glasses, simple and plain, with just their syrup or else smothered in molten Chocolate and with a scoop of vanilla ice-cream! Both ways are delicious! Peel the pears but leave the stalk and slice off a bit of the bottom of the pears so they stay up upright in the pan. Put all the other ingredients together in a pan on medium heat to make the sauce. Try to use a narrow pan to fit the pears and also so they remain upright. Place the pears in the pan and leave to simmer on low heat for about half an hour or until they are tender and the sauce has reduced. Keep checking the pan and once in a while baste the pears so they get an even red colour. When they are ready, you can take them out of the sauce carefully and together with their sauce, place in a large container in the fridge. About an hour before serving, take them out of the fridge, so the pears come to room temperature. Place them upright in glasses or on serving plates. Strain the remaining syrup and then place it in a small pot and heat until it thickens and looks syrupy. Leave to cool slightly. You can either serve them in glasses drizzled with their syrup. 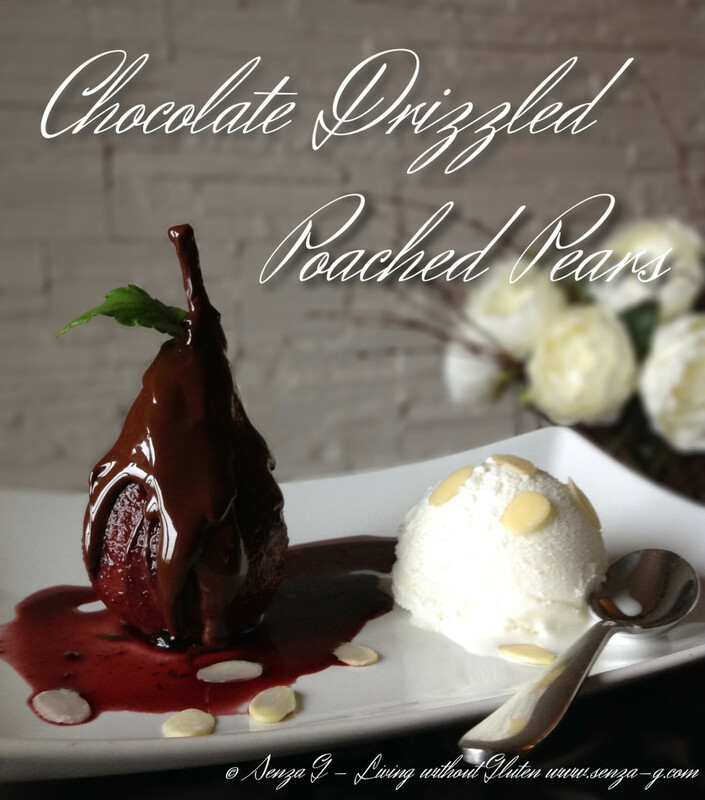 Or else for those Chocolate and Ice cream lovers, serve them with vanilla ice cream and drizzle the pears heavily with molten chocolate.